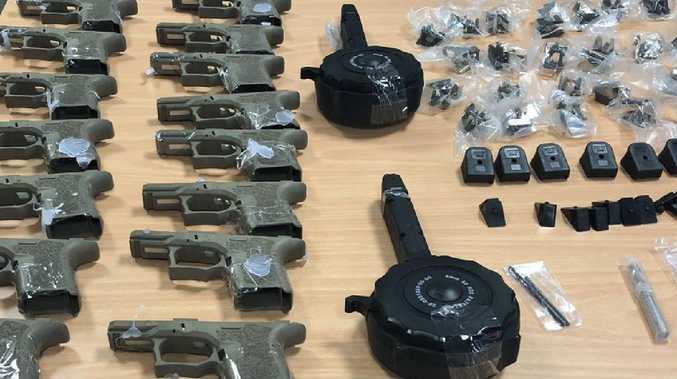 GUN parts have been found hot glued to toy motorbikes imported into Melbourne from the United States in an elaborate firearm smuggling scheme. Three men, aged between 25 and 33, have been charged and face a maximum ten years behind bars. Authorities are probing whether the high value firearms were to be sold to outlaw motorcycle gangs. 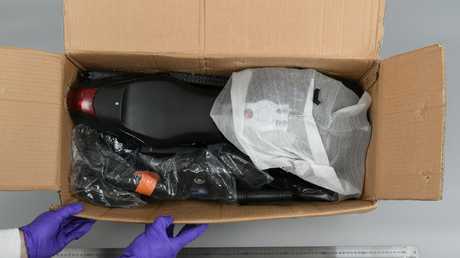 Australian Border Force officials first identified gun parts glued to and concealed inside a children's motorbike toy at the Melbourne International Mail Facility on January 9. 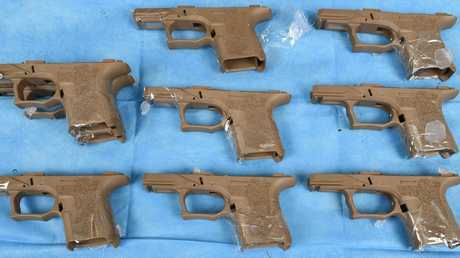 Two additional packages were identified with gun parts on similar toys. Properties in Brunswick, Southbank and NSW were raided by Australian Federal Police between January 21 and 24. The men, aged 25, 26 and 33, have been charged with possessing a traffickable quantity of unregistered firearms, trafficking prohibited firearms or firearm parts into Australia, intentionally importing prohibited firearm parts and the cross-border offence of disposal or acquisition of a firearm or firearm. The 33-year-old man faces an additional charge in relation to the destruction of evidence. 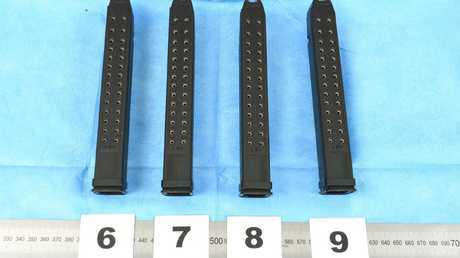 AFP Detective Superintendent Jayne Crossling said the operation had prevented about 60 firearms hitting the black market. She said there is a significant market for illegal firearms in Australia, making it a lucrative criminal trade. "There is now no chance that these weapons will end up in the dangerous hands of outlaw criminal motorcycle gangs or other criminals," she said. "The alleged offenders were motivated by money. Firearms have a high value so there is a market for it." ABF Regional Commander Victoria Craig Palmer said the bizarre smuggling method was not out of the ordinary. "It's nothing our officers haven't seen before," he said. "The lengths criminals go never ceases to surprise us." 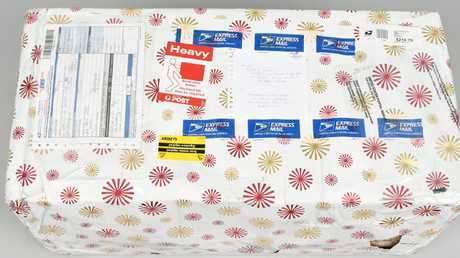 He added: "ABF officers working in the international mail environment, in Melbourne and around the country, are highly skilled in targeting suspect consignments and detecting firearms parts, no matter how they are concealed. "Our officers are supported by technology and use other detection methodologies at our international mail centres to identify a range of high risk items. In this case these techniques have helped us prevent a significant number of firearms entering the community and potentially falling into the wrong hands." The 33-year will face the Melbourne Magistrates' Court on Thursday. The other co-accused will appear at the same court on May 14.